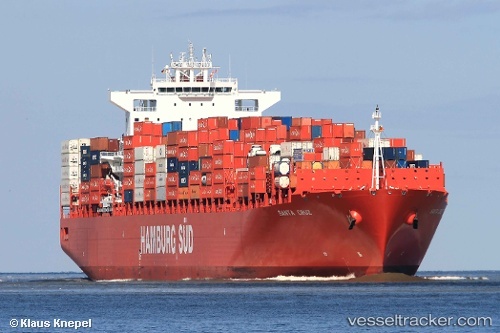 Previously operated by Hamburg Süd under the Liberian flag, the container ship “Santa Cruz” (7,100 TEU) is now flying Luxembourg’s flag, said in the company's press release. The change of flag was carried out in the Port of Hamburg yesterday, March 26, 2013. The “Santa Cruz”, which sails in the Europe – South America East Coast liner service, is the first Hamburg Süd vessel to be entered in Luxembourg’s shipping register. The move brings Hamburg Süd a step closer to its aim of operating 60 per cent of its owned ships under European flags. Of the 36 Hamburg Süd-owned vessels, 18 currently fly the German flag and one that of Luxembourg. This puts the proportion of owned ships under a European flag at 53 per cent.